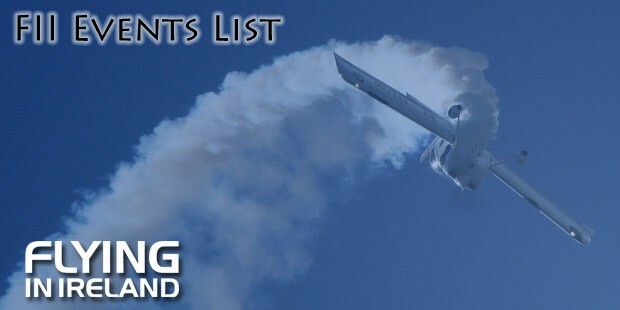 If you are organising an event or know of an event that’s not listed below please let us know! You’ll find our contact details on the “Contact Us” page. United Technologies Research Centre is at the forefront of the development of new technologies enabling the next generation of air-travel, which will see a transition to more electric and potentially, all electric aircraft. In this presentation Dr Diarmaid Hogan and Dr Ray Foley will present an overview of the challenges facing the industry as it journeys towards an electric future and the potential solutions and technology requirements needed to achieve this ambitious goal. The transition from hydraulic and pneumatic systems to electric systems, and from conventional propulsion to hybrid-electric propulsion places UTC and UTRC in a unique position globally to deliver technologies supporting the future of air travel. This will be a key element in the contribution of the aerospace industry towards reducing greenhouse emissions, improve operating costs, lower noise, and improve reliability. Dr Diarmaid Hogan is a Senior Research Scientist at United Technologies Research Centre (UTRC) Ireland, where he is member of the Power Electronics Research group. He received his PhD in Power Electronics in 2017 from University College Cork, where he was the recipient of the Irish Research Council Enterprise Partnership Scholarship. At UTRC, he is involved in a number of projects spanning areas of hardware-in-the-loop and rapid prototyping testing for aerospace applications, advanced machine controls, modelling and control development for aerospace applications. Dr Ray Foley is the Site Director at UTRC Ireland, where he has overall responsibility for the operations and management of United Technologies Corporation’s (UTC) European research hub. Ray began his career at UTRC in 2010, and has been involved in R&D activities supporting the various business units of UTC. Most recently he was Project Lead for the Collins Aerospace Systems program at UTRC. He has a PhD degree in Power Electronics (2007) from University College Cork. He has been a participant in several National and EU funded R&D projects. He is the author/co-author of over 30 conference and journal publications. Free and all are welcome to attend.